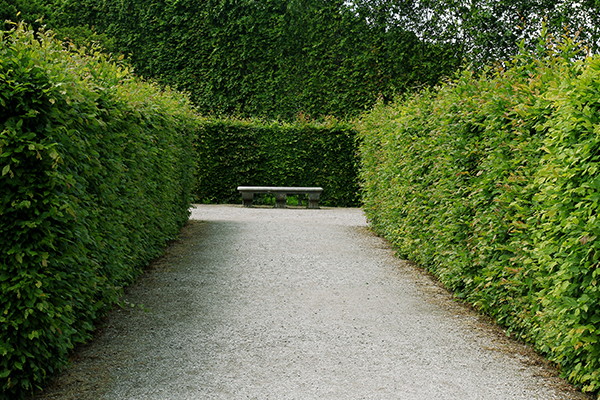 The three things to consider when planting a hedge for privacy is the height, the look and how intensively it needs to be managed. 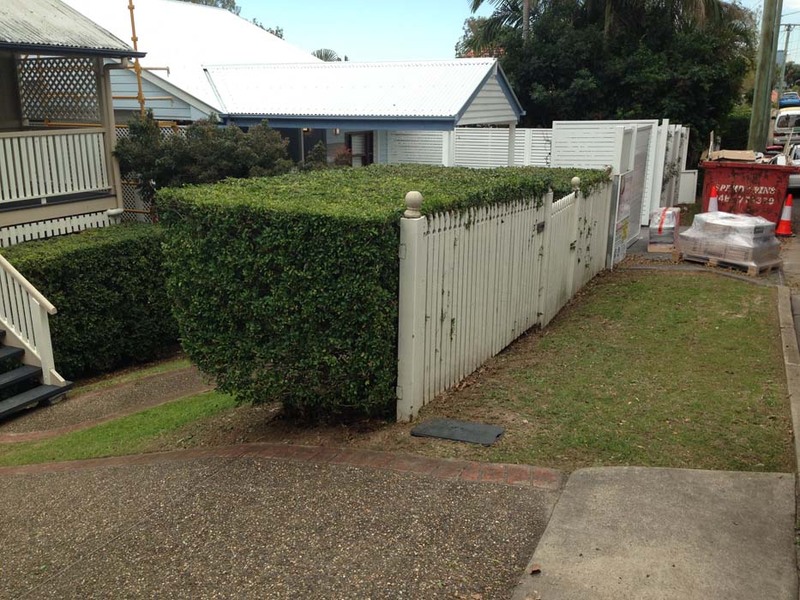 Murrayais the most common plant used for privacy hedging in Brisbane – it’s tall, it’s hard to see through and it’ss easy to keep in a box shape. A murraya can grow up to three metres tall, however if it’s managedrigorously it can be kept between one and two metres. 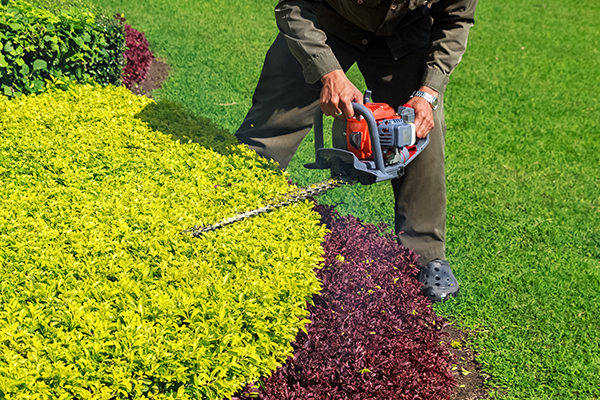 It needs to be trimmed around four times a year but if it is left to grow during summer it can sprout lovely white flowers with a fragrance similar to orange blossom. 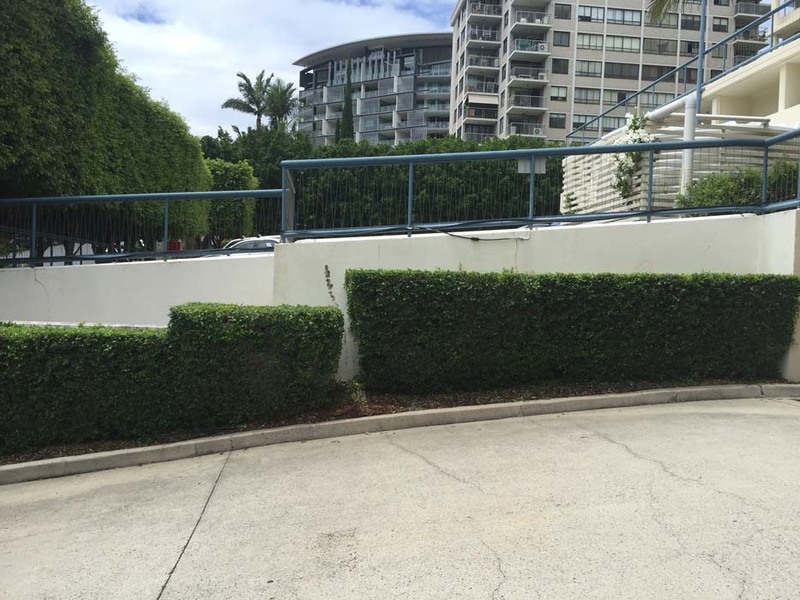 Magnolia is another popular privacy hedging plant in Brisbane – it grows nice and tall, has dense foliage and is easy to manage.The magnolia can grow well above two metres and can live in most environments around Queensland. Its’ flowers are nothing to write home about but the big green glossy leaves make up for it. 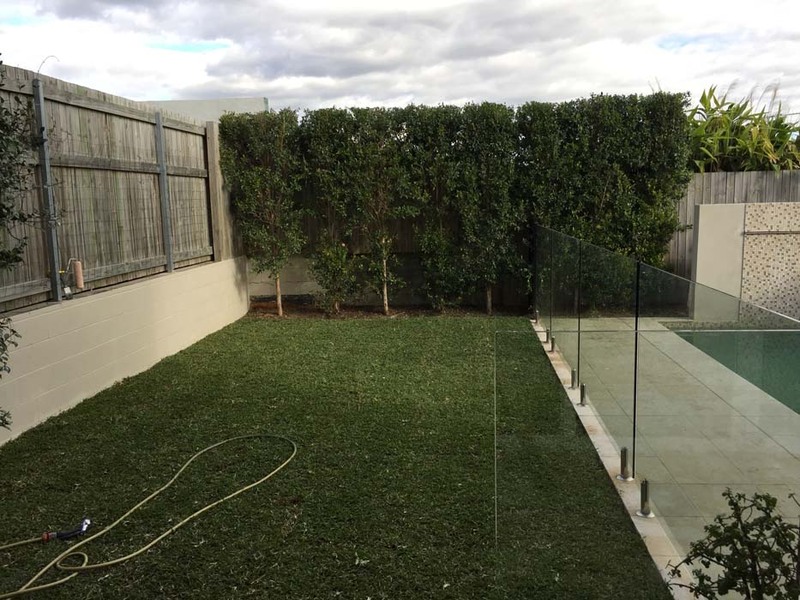 However it does grow slowly, so if you are looking for a quick screen it is advisable to use the murraya. 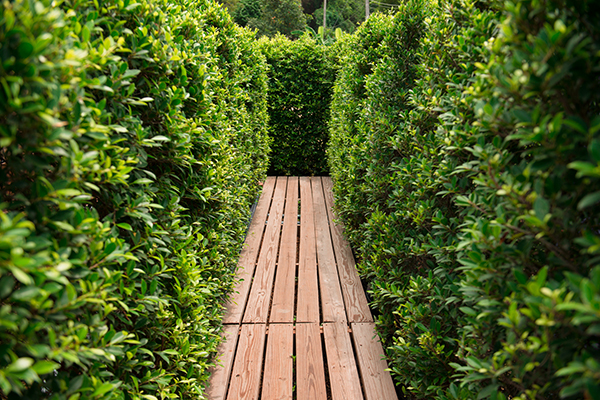 Other popular plants for privacy hedges are the Lilly Pilly and Bamboo. 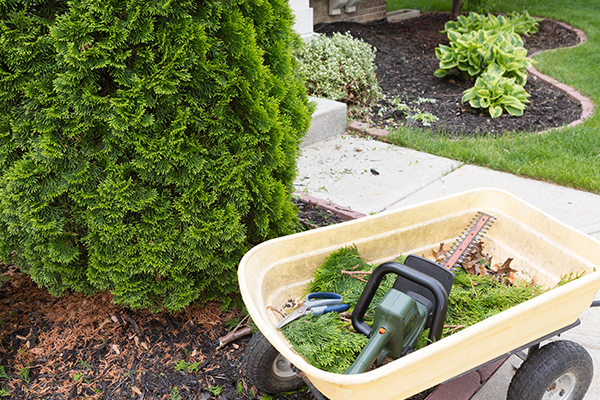 Be really careful when considering these plants for your hedge! The main issue with the lilly pilly is there are a lot of different species that have completely different growing patterns. Some lilly pilly species are really small and some are really big and the foliage is generally not as dense as murraya and magnolia, so extensive research is recommended before using it. Circle Maintenance does not recommend using bamboo as a hedge, while it is a nice screen the negatives definitely outweigh the positives. Bamboo is hard to maintain, it is hard to take the height down and its leaf droppings are not easy to clean up. Many species of bamboo are considered a pest and bad for the environment, there are some that aren’t however the wood is still hard and the mess is an issue. 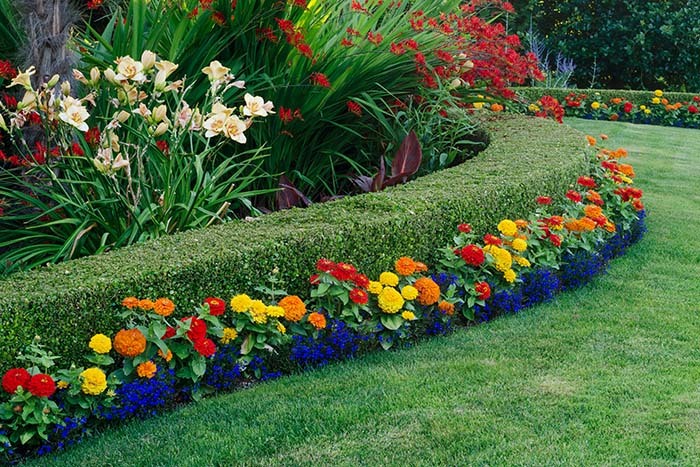 Hedges are not always used for privacy, hedges can also be used to provide definition and colour in the garden. One of the most popular hedge plants used to brighten up gardens in Brisbane is the Duranta, which has a striking yellow leaf year round. The duranta is happy to be kept at one to one-and-a-half metres and it’s unusual to find it in a garden on its own because the yellow foliage is so prominent. The duranta is usually coupled with the murraya because the green leaves complement the yellow foliage. Although it does not have the traditional box look you would find in most hedges, Agapanthus is another handy plant for providing colour in the garden. Agapanthus is often used along walk-ways, paths or any edges to give a striking colour right at the front of the garden. It has long arching leaves and tall blue flowers that sprout in spring and summer. The agapanthus is a low maintenance plant that can survive in wet and dry climates and can grow in poor quality soil. The main up-keep of the agapanthus is removing the dead-wood every couple of months.However one of the draw backs to planting agapanthus is that it can be invasive, this means that it shouldn’t be planted near bushland or creeks (if you are unsure please give us a call). 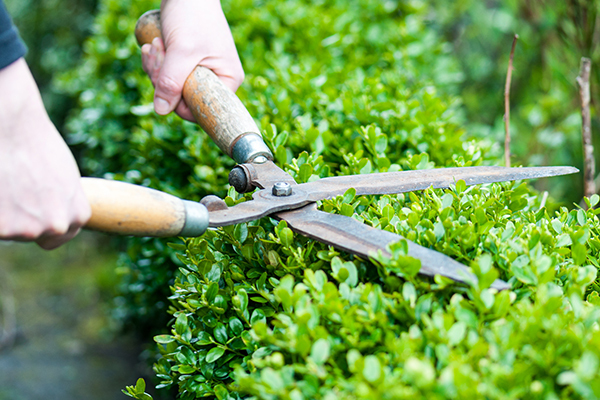 Arguably the most commonly used low maintenance hedge in Brisbane is the Grevillea. The grevillea is a hardy plant that needs to be trimmed around once a year and can be grown in most soils and climates. 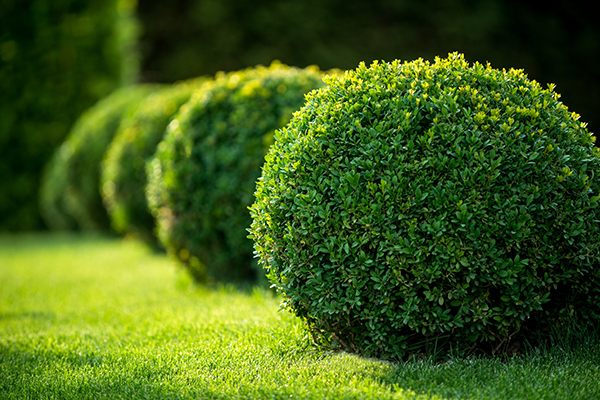 It’s often used for hedges in back gardens, along fences to provide a back-drop or as ground-cover for the colourful flowering plants in front of it. It is not often used as a front screen in gardens because it doesn’t have the tidy box shape most people are looking for. There are a lot of different grevillea species, so it is worth doing research on what type of grevillea is needed for your garden.